Colorado hiking trails take you through some spectacular country. If you're looking for lofty snow covered peaks, feast your eyes on over 50 of them towering over 14,000 feet. You can join the 14'er club! Plus, the state of Colorado is awash in hiking trails through national parks and national forests, if you'd rather stick to grass, flowers, wildlife and rivers. Here's how to quickly get to the information you need for the type of hiking you're interested in pursuing on Colorado hiking trails. The bitter reality of a hiker's life is that you only have so much trail time. Pick an urban area in Colorado and use it as base camp for dayhikes. 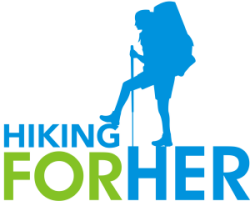 For the Denver area, use this website for logistical details and trail reports. If you're hiking with kids and need reasonable daily mileage with plenty of kid friendly scenery, there are dozens of state parks to choose from. Get your trail map here. However, if you really want to "go for it", you'll need more rugged options. Not be outdone by Arizona's National Scenic Trail, Colorado has its very own long trail. The Colorado Trail provides 500 miles of trail bliss, between Denver and Durango. Six wilderness areas and eight mountain ranges. Ponder that sentence, then go here for the Colorado Trail Foundation's plethora of facts, trail reports and tips on how to hike this long trail. 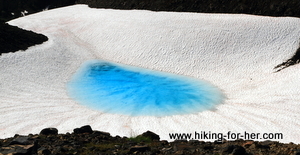 If you'd like to spend day after day hiking at elevations exceeding 10,000 feet (glorious alpine immersion!! ), check out the Colorado Trail right now through the eyes of a hiker. The photos will give you almost as much information as his words. The Continental Divide Trail travels from the Mexico/United States border in New Mexico and passes through Colorado on its way northward to the Canadian border. The Colorado segment of the trail is dramatically different than the New Mexico terrain which hikers must pass through first (assuming a north bound direction). The Chihuahuan Desert, to be specific. Once you hit the Colorado border, the desert is left behind, and a mountain peak feast begins. To take a close look at the 650 mile Colorado segment, use these Continental Divide Trail Society's resources. Colorado mountain hiking puts you at risk for weather extremes even in the middle of the warm weather months of July and August. High mountain trails carry risks of exposed trail, meaning that your foot falls might land on air rather than... uh, land. If you're a novice hiker, travel with experienced hikers who will show you the ropes. And sometimes use them! What you should realize by now is that Colorado hiking will demand the very best of your skills and endurance. To maximize your planning time, read up on what Colorado hiking trails have to offer you. You will drool over your hiking possibilities in this book, which makes a great general overview of Colorado hiking. Wishing you spectacular Colorado Hiking Adventures!! And please tell us all about your hikes right here on this website. Sharing is caring, isn't that what they say? P.S. Wondering if you're cut out to tackle a long distance hiking trail? Here's where to start.